Selling real estate can be a scary prospect. You want to ensure you gain a profit, but you also want to make sure you can get something more valuable in the future. This sometimes leads people to push off selling their properties. However, sometimes selling off your property is the only way to come out ahead. There are quite a lot of benefits to selling your real estate if you know how to do it right. Whether you are an investor or just an average homeowner, knowing when and how to sell your property is essential to your overall success. You will only be able to reap the benefits of your sale if you do it smartly. This is why we have not only laid out the potential benefits of selling real estate but also illustrated how to go about completing a sale successfully. Who Can Sell Real Estate? Many people often assume that you have to be or hire a real estate agent to sell your property. This is untrue, and more and more people are stepping away from realtors to try selling on their own. Anyone can sell real estate; the difference is experience. By hiring a real estate agent, you hire someone who has the ability and know-how to get your place noticed on the market. They have gone through courses, training, and have sold many properties in the past. They know how to set up your home, where to post listings, and exactly how to get the highest dollar for your property. However, they also take a large portion the overall sale as their pay, which typically lands at about 5-7%. That may not sound like a lot, but when your property is worth hundreds of thousands of dollars, that is a lot of money to miss out on. Through some basic research and patience, you can sell your real estate independently. For those looking to turn around properties for a profit continuously, this could be a great way to keep more of your earnings. Each property will be different and may not fit perfectly into a selling formula, but you can at least get a start on how to do it through our guide. How Do You Sell Real Estate? Your next step will be to get the word out there. The MLS, which is a comprehensive list of real estate properties for sale, is a great place to start. They will charge you a small fee to list your property, but it will be an excellent way for people to learn about your real estate. You can also put up signs, post ads on websites like Facebook or Craigslist, and make brochures. However you spread the word, be sure to make it’s clear and easy to understand. Check for grammar mistakes, unreadable text, funky layouts, and rude phrasing. You want to sound inviting and approachable. Carry these themes into your open house. Here, you want to highlight every selling point your property has to offer. Whether it is a large open floor plan, a three-car garage, or a backyard pool, people want to know what makes your real estate better than the rest. Make sure your house is clean, organized, and visitor friendly as you continue to show it off. After a few showings, you will hopefully receive an offer. The way this works is that the potential buyer will submit a contract for you to review. You can then accept this contract or revise it and send it back. This back and forth will continue until both parties agree on the terms. This part may be complex and you may want to reach out to an attorney or real estate agent for help (both will charge you a small, flat fee for the review of the contract). 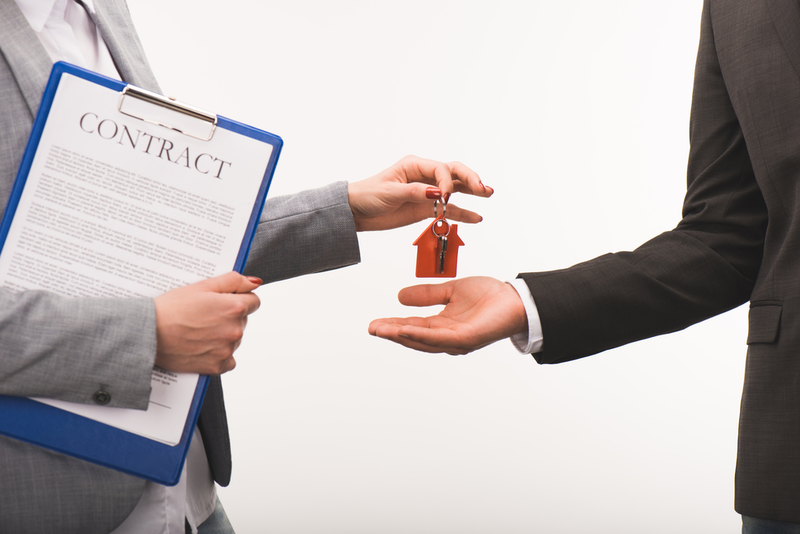 Once the contract has been approved on both sides, you have successfully sold your real estate! The most apparent benefit of selling real estate on your own is that you get to keep all the money. Rather than having to share a commission with an agent, which generally ranges from about 5-7%, you get all of it. Sure, there may be a few fees here and there for listings or cleaning purposes, but overall, you will make a much larger profit without an agent, especially on properties with hefty price tags. Another great benefit is that you get to keep all the control. You decide how the property will be shown, where to post listings, how much you want to sell it for, and how much you are willing to negotiate. The power to highlight the best features in your home is all on you, meaning you do not have to accept an outsider’s opinion on what is best. It is your property, and you know more about it than someone from the outside. Plus, it is getting easier and easier to do this on your own every day. The internet has provided tons of great resources, places to list your home, and easy ways to create brochures and signs. If you are willing to put in a little extra work, you can quickly get into selling real estate without drowning in the process. Selling real estate can be a daunting task, but it has the potential for great outcomes for all. Especially for those looking to continue investing in real estate. It can be done independently, meaning that all the control is in your hands, and can be done on your time. Selling real estate means you can then move on to purchase better properties, continue making sales, and prosper in ways you used to only dream of.